“La ciudadanía europea supone, entre otros derechos y deberes, la libre circulación y residencia en los países de la Unión, poder votar en el Parlamento Europeo (para el que hay elecciones el año que viene), el derecho a reclamar ante situaciones de discriminación o la garantía del acceso a la educación. The first World Congress Roma / Gypsy held in London in 1971 agreed to this date as International Day to vindicate the rights of the Roma people besides institutionalizing gypsy flag and anthem. The Roma community is made up of more than 10 million people who live in many countries around the world. In Europe constitutes the largest ethnic minority and large, with more than 8 million people. The celebration of International Roma Day has made in recent years an important occasion for the recognition of the Roma / Gypsies, their history, language and culture. While for a time was a date that went unnoticed, is now commemorated in countries on five continents, as a warning to the discrimination that often this community still suffers. 2013 has been designated as the “European Year of Citizens”. And this April 8, International Roma Day 2013 is, therefore, a good opportunity to point-and-claim citizenship of Spanish Gypsies, as nationals but also as full citizens of the European Union . European citizenship means, among other rights and duties, freedom of movement and residence in the EU countries, to vote in the European Parliament (for which there are elections next year), the right to complain to situations of discrimination or ensuring access to education. But granting citizenship rights also requires having previously guaranteed social rights, that the current crisis is rolling relentlessly. Beginning with employment, with unemployment rates that continue to grow and that, in Spain, among young people or communities such as the Roma, come and outrageous extremes and with little prospect of improvement. So while the already high unemployment rate of all Spanish has doubled over the past five years, for the Roma population has almost tripled. Furthermore, since it is not only a financial and economic crisis more or less fleeting, but our country has fallen into the well of a social crisis, with cuts in public services and protection mechanisms, increase day ago to-day situations of severe poverty and inequality gap, with a clear risk of social fracture, of pure and injustice, and with large uncertainties facing the short, medium and long term for many families. As has been repeated insistently for our Foundation and from many other organizations, the most serious and protracted in time are suffering the most vulnerable population groups, with lower qualifications and less resources, among which are many Roma families Spanish, to say the vast majority of them. 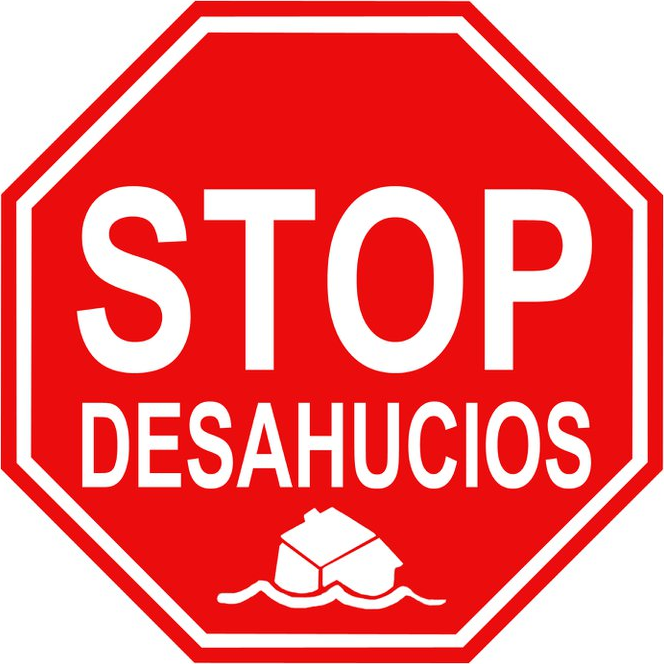 Significant advances in social inclusion and equality conquering Spanish Roma community in recent decades are undergoing a rapid and alarming deterioration. And we see from the government and from society itself a clear majority of concern, mobilization, solidarity. In government seems that the path of austerity, deficit reduction, cuts or simple paralysis become the dominant trend, with clear effects on the provision of basic services (in health, education …) in social protection measures or direct inclusion plans or at the Roma Development Plan. It aggravates the situation doubly so for the Roma, by thinning benefits of the welfare state, but also those seeking more specific remedy different starting conditions of a secular community excluded. The European Union-and Spain-has to membership for a year with a good tool for integration and cohesion, the National Strategies of Roma Inclusion 2012-2020. But you have to be vigilant so that this important step not be a dead letter, being demanding compliance and also demanding that basic resources are necessary to get through, that goodwill is not enough, you have to provide the means to meet marked targets and indicators. The Spanish strategy also has regard to advances in other developed countries on issues such as participation, equality of women, attention to foreign Roma and the fight against discrimination. A latter aspect, the crisis also is showing its ugly head and affecting, as in other historical periods of infamous memory, the most vulnerable, minorities … who quickly become scapegoats for all the ills of the society. In the process of social image settings and prejudice, we must remember the tremendous damage they can do certain content broadcast by the media in times of great hearing (an obvious case is the Word program Gitano) with effect in the collective imagination and very difficult to counter with serious implications also for the recent phenomenon of social networks and the Internet, where they take the worst force ghosts of racism in an unequal struggle for the weakness and inadequacy of the tools available to combat them. This field is also essential solidarity, working together to achieve a more dignified, more just, more decent work for all, including for the Roma and Gypsy. Der erste Weltkongress Roma / Sinti in London im Jahr 1971 vereinbart, dieses Datum als Internationalen Tag zum Schutz der Rechte der Roma neben Institutionalisierung gypsy Flagge und Hymne zu rechtfertigen. Die Roma-Gemeinschaft setzt sich aus mehr als 10 Millionen Menschen, die in vielen Ländern auf der ganzen Welt leben gemacht. In Europa stellt die größte ethnische Minderheit im großen und ganzen mit mehr als 8 Millionen Menschen. Die Feier des Internationalen Tag der Roma in den letzten Jahren eine wichtige Gelegenheit für die Anerkennung der Roma / Zigeuner, ihre Geschichte, Sprache und Kultur. Während eine Zeit lang ein Datum, das unbemerkt, wird nun gefeiert in Ländern auf fünf Kontinenten, als eine Warnung an die Diskriminierung, die oft diese Gemeinschaft noch leiden. 2013 wurde zum “Europäischen Jahr der Bürgerinnen und Bürger” bezeichnet worden. Und das 8. April Internationaler Tag der Roma 2013 ist daher eine gute Gelegenheit, Point-and-Anspruch Bürgerschaft der spanischen Zigeuner, wie die eigenen Staatsangehörigen, sondern auch als vollwertige Bürger der Europäischen Union . Unionsbürgerschaft bedeutet unter anderem Rechte und Pflichten, Freiheit der Bewegung und den Aufenthalt in den EU-Ländern, die im Europäischen Parlament (für die es im nächsten Jahr) wählen, das Recht auf Situationen von Diskriminierung beschweren oder Sicherstellung des Zugangs zu Bildung. Aber die Gewährung Bürgerrechte erfordert auch, nachdem er zuvor die sozialen Rechte garantiert, dass die aktuelle Krise ist unerbittlich rollt. Beginnend mit Beschäftigung, mit einer Arbeitslosenquote, die weiter wachsen und dass in Spanien, bei jungen Menschen oder Gemeinschaften wie der Roma, zu kommen und empörend Extremen und mit wenig Aussicht auf Besserung. Während also die bereits hohe Arbeitslosenquote von allen spanischen in den vergangenen fünf Jahren verdoppelt hat, ist für die Roma-Bevölkerung fast verdreifacht. Darüber hinaus, da es nicht nur eine Finanz-und Wirtschaftskrise mehr oder weniger flüchtig, aber unser Land hat in den Brunnen einer sozialen Krise geraten, mit Kürzungen im öffentlichen Dienst und Schutzmechanismen, Tag erhöhen zu Tag Situationen extremer Armut und Ungleichheit Lücke, mit einem klaren Risiko der sozialen Bruch, der reinen und Ungerechtigkeit, und mit großen Unsicherheiten mit Blick auf die kurz-, mittel-und langfristig für viele Familien. Wie bereits eindringlich für unsere Stiftung und von vielen anderen Organisationen wiederholt, die schwerste und langwierig in der Zeit leiden die am meisten gefährdeten Bevölkerungsgruppen mit niedrigeren Qualifikationen und weniger Ressourcen, darunter viele Roma-Familien Spanisch, zu sagen, die überwiegende Mehrheit von ihnen. Bedeutsame Fortschritte bei der sozialen Eingliederung und der Gleichstellung der Eroberung spanische Roma-Gemeinschaft in den letzten Jahrzehnten durchlaufen eine schnelle und alarmierende Verschlechterung. Und wir sehen, von der Regierung und von der Gesellschaft selbst eine klare Mehrheit der Sorge, Mobilmachung, Solidarität. In der Regierung scheint, dass der Weg der Strenge, Defizitabbau, Schnitte oder einfache Lähmung der vorherrschende Trend geworden, mit klaren Auswirkungen auf die Grundversorgung (Gesundheit, Bildung …) in Maßnahmen des sozialen Schutzes oder direkte Eingliederung fördern oder bei der Roma Development Plan. Es verschlimmert die Situation doppelt so für die Roma, durch Verdünnen Vorteile des Wohlfahrtsstaates, sondern auch diejenigen, die mehr spezifisches Heilmittel unterschiedlichen Ausgangsbedingungen eines säkularen Gemeinschaft ausgeschlossen. Die Europäische Union und Spanien hat die Mitgliedschaft für ein Jahr mit einem guten Werkzeug für die Integration und den Zusammenhalt, die nationale Strategien zur Eingliederung der Roma 2012-2020. Aber Sie müssen so wachsam sein, dass dieser wichtige Schritt nicht toter Buchstabe sein, wobei anspruchsvolle Compliance und auch anspruchsvoll, dass die grundlegenden notwendigen Ressourcen, um durch zu bekommen sind haben, dass der Goodwill nicht genug ist, haben Sie, um die Mittel zu erfuellen gekennzeichneten Ziele und Indikatoren. Die Strategie Spaniens hat auch Bezug auf Fortschritte in anderen entwickelten Ländern zu Themen wie Teilhabe, Gleichstellung von Frauen, die Aufmerksamkeit auf ausländische Roma und dem Kampf gegen Diskriminierung. A letzteren Aspekt die Krise auch zeigt ihr hässliches Haupt und beeinflussen, wie in anderen Epochen der berüchtigten Speicher, die am meisten gefährdeten, Minderheiten … wer schnell zu Sündenböcken für alle Übel der sich Gesellschaft. In den Prozess der sozialen Bildeinstellungen und Vorurteile müssen wir bedenken, das enorme Schaden, den sie bestimmte Inhalte Sendung von den Medien tun können, in Zeiten großer Anhörung (ein offensichtlicher Fall ist das Word-Programm Gitano) mit Wirkung in der kollektiven Phantasie und sehr schwierig, mit schwerwiegenden Auswirkungen auch Zähler für das jüngste Phänomen der sozialen Netzwerke und das Internet, wo sie nehmen die schlimmsten Kraft Geister des Rassismus in einem ungleichen Kampf für die Schwäche und Unzulänglichkeit der Werkzeuge zur Verfügung, sie zu bekämpfen. Dieses Feld ist auch wichtig, Solidarität, arbeiten zusammen, um eine würdevolle, gerechter, menschenwürdiger Arbeit für alle, einschließlich der Roma und Sinti zu erreichen. Le premier congrès mondial rom / tsigane qui s’est tenue à Londres en 1971 a accédé à cette date comme Journée internationale pour faire valoir les droits des Roms en dehors de l’institutionnalisation de drapeau et de l’hymne tzigane. La communauté rom est composé de plus de 10 millions de personnes qui vivent dans de nombreux pays à travers le monde. En Europe constitue la plus grande minorité ethnique et grande, avec plus de 8 millions de personnes. La célébration de la Journée internationale des Roms a fait ces dernières années une occasion importante pour la reconnaissance de la langue des Roms / Tsiganes, leur histoire et leur culture. Alors que pour un temps était une date qui est passé inaperçu, est aujourd’hui commémoré par pays sur les cinq continents, comme un avertissement à la discrimination qui, souvent, cette communauté souffre encore. 2013 a été désignée «Année européenne des citoyens”. Et cela Avril 8, Journée internationale des Roms 2013 est donc une bonne occasion de citoyenneté point-and-revendication de gitans espagnols, aux ressortissants mais aussi en tant que citoyens à part entière de l’Union européenne . Citoyenneté européenne signifie, entre autres droits et devoirs, la liberté de circulation et de séjour dans les pays de l’UE, de voter au Parlement européen (pour lequel il ya des élections l’année prochaine), le droit de se plaindre à des situations de discrimination ou de assurer l’accès à l’éducation. Mais l’octroi de droits à la citoyenneté exige également avoir préalablement garantie des droits sociaux, que la crise actuelle roule sans relâche. À commencer par l’emploi, le taux de chômage qui continuent de croître et que, en Espagne, chez les jeunes ou les communautés telles que les Roms, venez extrêmes scandaleux et avec peu de perspectives d’amélioration. Ainsi, alors que le taux de chômage déjà élevé de tous les espagnols a doublé au cours des cinq dernières années, la population rom a presque triplé. En outre, étant donné que ce n’est pas seulement une crise financière et économique plus ou moins éphémère, mais notre pays est tombé dans le puits d’une crise sociale, avec des coupes dans les services publics et les mécanismes de protection, augmenter de jour il ya le jour des situations d’extrême pauvreté et de l’inégalité écart, avec un risque évident de fracture sociale, de pur et de l’injustice, et avec de grandes incertitudes auxquels est confronté le court, moyen et long terme pour de nombreuses familles. Comme cela a été répété avec insistance pour notre Fondation et de nombreuses autres organisations, la plus grave et prolongée dans le temps subissent les groupes de population les plus vulnérables, moins qualifiés et moins de ressources, parmi lesquelles de nombreuses familles roms espagnol, pour dire la grande majorité d’entre eux. Des avancées significatives en matière d’inclusion sociale et l’égalité conquête espagnole communauté rom dans les dernières décennies subissent une dégradation rapide et alarmante. Et nous voyons la part du gouvernement et de la société elle-même une nette majorité de préoccupation, la mobilisation, la solidarité. Dans le gouvernement semble que la voie de l’austérité, la réduction du déficit, des coupures ou simple paralysie devenir la tendance dominante, avec des effets évidents sur la fourniture de services de base (santé, éducation …) des mesures de protection sociale ou des plans d’inclusion directe ou à Plan de développement des Roms. Il aggrave la situation doublement pour les Roms, par l’amincissement des avantages de l’État providence, mais aussi ceux qui cherchent plus spécifiques remède différentes conditions de départ d’une communauté laïque exclus. L’Union européenne et l’Espagne a à l’adhésion pour un an avec un bon outil pour l’intégration et la cohésion, les stratégies nationales d’intégration des Roms 2012-2020. Mais il faut être vigilant pour que cette étape important de ne pas rester lettre morte, étant exigeant le respect et exigent également que les ressources de base sont nécessaires pour passer à travers, que la bonne volonté ne suffit pas, vous devez fournir les moyens de répondre marquée objectifs et des indicateurs. La stratégie espagnole tient également compte des progrès réalisés dans d’autres pays développés sur des questions telles que la participation, l’égalité des femmes, l’attention aux Roms étrangers et la lutte contre la discrimination. Un dernier aspect, la crise montre aussi sa tête hideuse et touchant, comme dans d’autres périodes de l’histoire de la mémoire infâme, les plus vulnérables, les minorités … qui deviennent rapidement des boucs émissaires pour tous les maux de l’ société. Dans le processus de réglage de l’image et les préjugés sociaux, nous devons nous rappeler les dégâts considérables qu’ils peuvent faire la diffusion de certains contenus par les médias à l’heure de l’audition grande (un cas évident est le programme Word Gitano) avec effet dans l’imaginaire collectif et très difficile à contrer avec de graves conséquences aussi pour le phénomène récent des réseaux sociaux et l’Internet, où ils prennent les pires fantômes de force du racisme dans une lutte inégale pour la faiblesse et l’insuffisance des outils disponibles pour les combattre. Ce champ est également indispensable solidarité, travaillant ensemble pour atteindre un plus digne, plus juste, plus le travail décent pour tous, y compris pour les Roms et les Tsiganes. then sadly, often they become wards of the court who will eventually determine their fate. in it. Thus they can choose from the many available sources. small security problems with my latest blog and I’d like to find something more secure. Do you have any suggestions? reading this web site’s post to be updated daily. It includes good stuff. Hi there, I do think your web site may be having internet browser compatibility issues. When I look at your website in Safari, it looks fine but when opening in IE, it’s got some overlapping issues. I just wanted to give you a quick heads up! Besides that, great blog! I’ve been exploring for a little for any high-quality articles or blog posts on this sort of space . Exploring in Yahoo I eventually stumbled upon this web site. Reading this info So i am satisfied to express that I have an incredibly just right uncanny feeling I discovered exactly what I needed. I most no doubt will make certain to do not put out of your mind this site and provides it a look on a continuing basis. Heya i’m for the first time here. I found this board and I find It really useful & it helped me out much. I hope to offer something again and help others such as you helped me. What’s up Dear, are you actually visiting this web page regularly, if so afterward you will without doubt take pleasant knowledge. 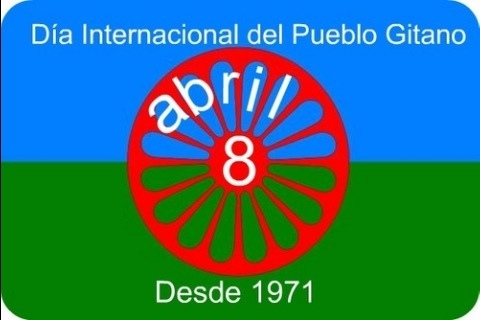 Thanks for finally talking about >8 DE ABRIL , DÍA INTERNACIONAL DEL PUEBLO GITANO.
. PAREMOS LA INTOLERANCIA | Trazos Digital <Loved it! any unique trick. Also, The contents are masterwork. you’ve done a fantastic job in this subject! these kinds of knowledge, therefore it’s nice to read this web site, and I used to visit this web site everyday. Hi there! I could have sworn I’ve been to this blog before but after checking through some of the post I realized it’s new to me. Nonetheless, I’m definitely glad I found it and I’ll be book-marking and checking back frequently! One more thing. It’s my opinion that there are a lot of travel insurance web pages of respectable companies that let you enter holiday details and obtain you the prices. You can also purchase your international travel cover policy on-line by using your credit card. All you need to do will be to enter your travel particulars and you can be aware of the plans side-by-side. Only find the system that suits your financial allowance and needs after which it use your bank credit card to buy them. Travel insurance on the web is a good way to check for a trustworthy company pertaining to international travel insurance. Thanks for discussing your ideas. I’ve read some just right stuff here. Definitely price bookmarking for revisiting. I surprise how a lot effort you put to make such a excellent informative website. certainly like your web site but you need to test the spelling on quite a few of your posts. A number of them are rife with spelling problems and I to find it very bothersome to inform the reality nevertheless I will definitely come again again.